Located in Yucatan near Valledolid, Chichen Itza has been a world heritage site since 1988 and has also been voted one of the world’s new seven wonders. The most dominant edifice at this archeological site is the Temple of Kukulcan, which happens to be the name of a maya feathered serpent deity. One of the most interesting facts about this pyramid more commonly known as El Castillo is that it is a monument of cosmological symbolism existing during this era. 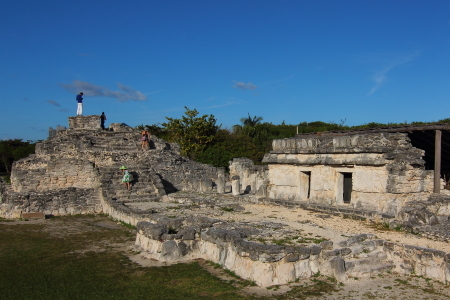 There are four sides containing 365 steps depicting the solar year, 52 panels for each year in the Mayan century as well each week in the solar year and 18 terraces for 18 months in the Maya religious year. Additional information about this archeological site is included in the photo gallery below. 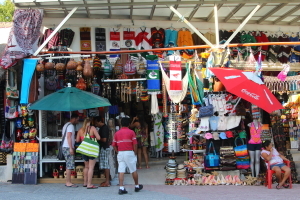 Vendors with souvenirs are conveniently located near all buildings. 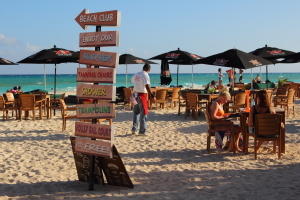 Playa del Carmen just finished celebrating an annual event known as a “Taste of Playa” on Sunday the 24th of November. It is a culinary event that highlights the best and most creative restaurants as well as retail food outlets that define the culture of this area.which is renowned for its diversity, international influences and culinary expertise. 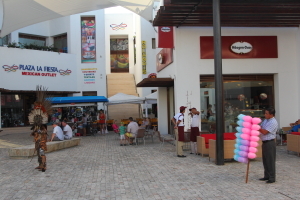 At the event which is open to the general public from 3 p.m. to 9 p.m. guest have a chance to sample a variety of food and beverages served at the many restaurants around town for a few pesos. This is a very convenient way to discover who’s serving your favorite foods at the right price without the hassle of shopping around town for days on end. Akumal, or place of the turtle in Mayan, is a small americanized beach community located between Playa del Carmen and Tulum. It is not only a nesting ground for sea turtles but home to Centro Ecological de Akumal which is dedicated to sea turtle protection, environmental marine research, education and sustainable tourism development. The bay of Akumal is sheltered from waves so conditions for turtles and snorkelers alike are arguably the best that can be found within the Maya riviera. ln addition to the loggerhead, green and hawksbill turtles that call Akumal home; snorkelers can expect to see a variety of colorful tropical fish and coral thanks to the clear and calm waters of this bay. The Yalku lagoon, found at the north end of the Akumal, is another ideal location for snorkeling. This happens to be a unique environment where fresh waters from the yucatan’s underground system merges with the caribbean sea to form a lagoon sheltered from waves. For additional details and images, please go to the photo essay below. 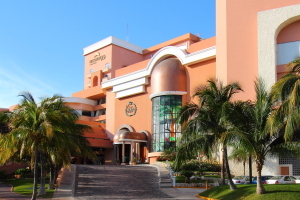 Cozumel is the largest of Mexico’s islands measuring 53 km by 14km and is found in the Caribbean Sea about 1 hour away from Playa del Carmen on the passenger ferries which make frequent trips on a daily basis. Although, there are a variety of things to do once you get to Cozumel the main attraction has always been snorkeling and scuba diving to experience the great meso american reef system. One travel guide book has a list of 86 attractions around Cozumel but 43 of them involve different scuba diving or snorkeling locations. 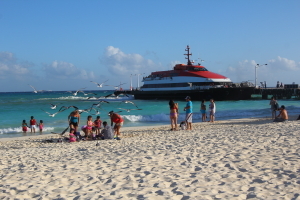 Other things to do while on the island are related to either cultural activities, parks or beach clubs. 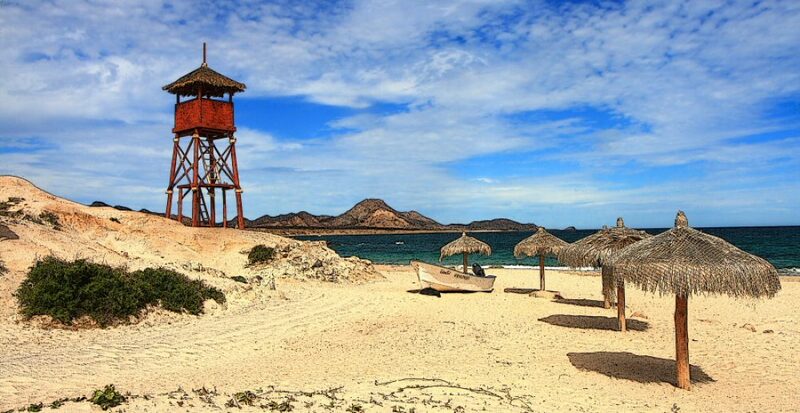 Three types of beaches can be found around this island and they will be either rocky, smooth white sand or hybrids. According to people in the know, rocky beaches are a indication of good snorkeling opportunities off shore and they are plentiful. The smooth white sand beaches are not as common as the rocky type but they can be found at the northern or southern tips of the island’s western shores such as Playa San Francisco near Punta Sur. Finally, there is the hybrid variety where sand has been brought in to build a beach on top of the limestone croppings that are the norm around Cozumel.. One such man made beach is found at the Chankannab National Park to the south of town. 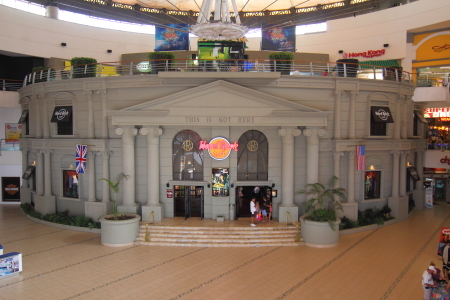 At the end of the day, most people head for San Miguel to enjoy happy hour, dinner or other cultural activites. This is the only city on the island and it has a population of over 75,000 people according to the last count. One of the main attractions here is the pedestrian only Plaza Centro where you can find restaurants, shops, street artist, cafe’s and nightlife. 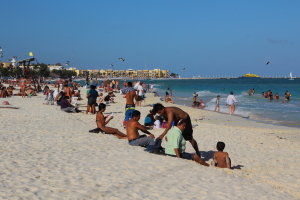 In the photo gallery below you will find images and more information about Plaza Centro, a few of the beaches as well as some other highlights. this monument is a tribute to the maya civilization that once occupied this island. It is found on the beach road going north from town. The Sculpture Park opened in 2001 on the same grounds where remnants of the Templo Maya Diosa Ixchel can also be seen by interested visitors. 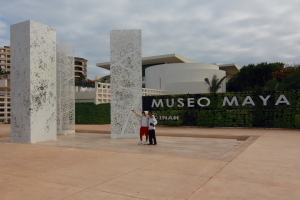 It is an open air musuem with a mayan related theme. All together, there are 23 original pieces which were donated by local and foreign artists. The most well known of this group are Jose Luis Cuevas and Sebastian. One of the sculpture’s, created by Sebastian, is called Chac-Mool; a name given to a type of pre-columbian, meso- american stone statute which depicts a human figure in a reclining position with the head up and turned to one side as seen in this abstract rendering. The original meaning of Chac-Mool, however, is unknown. The other piece featured in this post is the work of Jose Luis Cuevas and is named “El Tamborilero” which is almost like saying Mr. Tambourine Man. If the tambourine man could sing a song today, it would be about the rust and corrosion that will eventually destroy these sculptures if repairs are not made in the near future..